Delicious cupcakes and great staff. My kids love to come in for a treat! When into Patty’s Cakes the other day. Had great service and great cupcakes. 10/10 recommend. 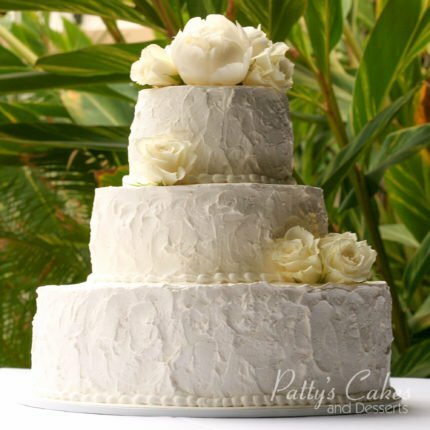 My husband and I used Patty’s Cakes for our wedding cake and we were so pleased. They were so easy to work with and did exactly what we wanted for a great price. For weeks leading up to our wedding, I was looking forward to the cake and it did not disappoint. So many of our guests complimented us on how great the cake looked and tasted. Their icing is nice and light, the cake is moist, and they have a great selection of fillings to choose from. I will definitely be using them again for other occasions and we can’t wait for our anniversary cake. [Review] Awesome tasting and amazing wedding cake! My family and I have known Patty and Patty’s Cakes since we used to live in Fullerton. We are so happy we chose to go with her business for our wedding cake. Our cake tasting was awesome and we wanted every flavor cause they all tasted amazing. After choosing our flavors and giving Patty our ideas, she came up with an amazing wedding cake we could never have thought of on our own. Not only did it look beautiful but it tasted so good that there wasn’t any left. Thanks again Patty and Patty’s Cakes!